The potato beetle feeds on potato plant leaves and can quickly eat all of the leaves. This can either kiil the potato plant or reduce your potato yield. This beetle can also attack other vegetables like tomatoes, peppers and eggplants. So if you see the striped potato beetle you need to act fast. One thing I like about this article is that it explains the life cycle of the potato beetle, which can help in defending plants against it. One thing I didn’t know is that potato beetles overwinter in the soil and come out when the temperatures rise in summer. The article discusses 5 organic methods of controlling potato beetles. Some of these methods focus on basically making it difficult for the beetles to find the potato plants. Other methods involve intervening and destroying the beetles and their eggs as early as you can. The article also shares some organic fertilizers. Finally, there are fast maturing varieties of potatoes that can produce a nice crop before the beetles and their larvae can do significant damage. There’s some really helpful information about using this strategy. It’s an excellent article that will help gardeners, whether you plant a small number of potatoes in containers or have a large part of your garden devoted to potatoes. 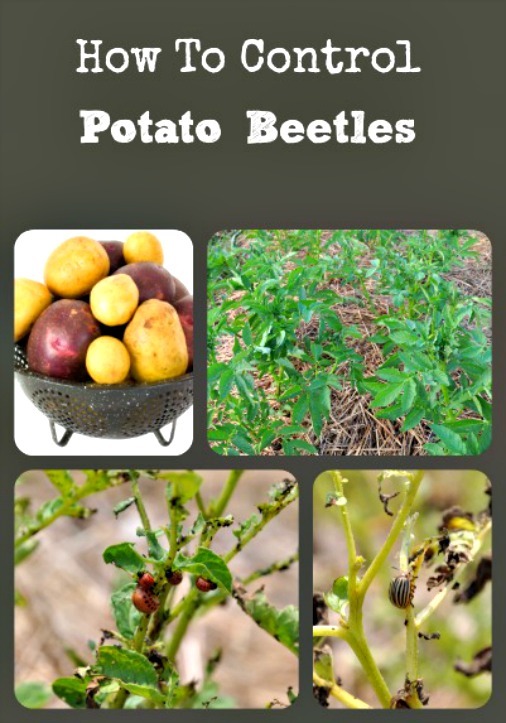 Click on the 5 Steps for Controlling Potato Beetles link below to check out this helpful article.